Thank you for visiting the website of First State Physicians and Delaware Therapeutic. Dr. Kevin McDermott and Dr. Todd Watson have over 30 years of experience in the treatment of most non-surgical musculoskeletal conditions. They specialize in automobile crash injuries as well as work related injuries. First State Physicians provides consultations, examinations, x-rays, therapeutic massage, neuromuscular therapy and a complete range of therapeutic procedures. We also provide kinesio taping, which can benefit a wide variety of musculoskeletal and sports injuries, plus inflammatory conditions. 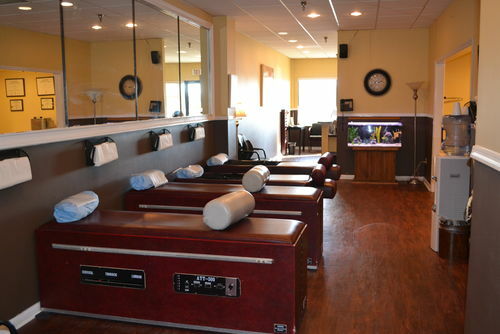 We offer massage therapy for our patients. Delaware Therapeutics takes patients pain and works with them in order to restore them to a pain free life. Our massage therapists customize their massages with different techniques including myofascial release, cross fiber friction, and deep tissue techniques. Our website offers information about our offices and services as well as the latest news in chiropractic care and massage therapy. 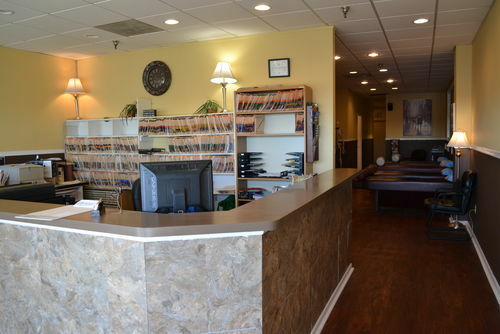 For more information or to schedule an appointment at one of our 2 Delaware chiropractic locations, call today! Dr. Kevin McDermott graduated from the University of Delaware in 1993 with a degree in Chemistry and earned his doctorate degree at Life University in 1997. His professional memberships include the D.C.S., the A.A.A.M., and A.C.A. Dr. McDermott implements a wide range of chiropractic therapies in his office, including hands-on techniques, manual and mechanical techniques, lumbar traction/disc decompression therapy and advanced, low-force, high-precision instrument adjustment procedures that deliver effective results. In his leisure time, he enjoys spending time with his family in Ocean City, Maryland. He also enjoys skiing with his kids, and traveling with them and his lovely wife Candy. He is a huge part of the local Boy Scouts and is involved with them with his son. Dr. McDermott is a very active father and husband. He spends a large amount of time with his family and they mean the world to him. Every extra ounce of time he has, he spends with them and enjoys every minute of it. Dr. Todd Watson is a graduate of the University of Delaware, where he attained his Bachelor of Science degree in 1994. During his time there, a personal health experience led to his own treatment by a Chiropractor. The results were so extraordinary that he made the decision to choose Chiropractic for his career path. He then went on to Life University in Marietta, Georgia where he earned the degree of Doctor of Chiropractic in 1998. Dr. Watson employs a number of adjusting techniques in order to meet patients’ individual needs, all with a focus on total spinal rehabilitation. He is also certified in the state of Delaware to treat Workers Compensation injuries. In his spare time, Dr. Watson enjoys attending his son’s various sporting events, his hobby of black and white photography, and following local Philadelphia sports teams. Kevin Hopkins, LMT, is a graduate of the Harris School of Business. He has been practicing massage since 2007. Kevin has been a massage therapist with First State Physicians since 2011. His specialties include myofascial release, cross fiber friction and deep tissue techniques. Kevin customizes each technique according to each patients need in order to restore them back to a pain free life. Kevin is certified in the State of Delaware to treat Workers Compensation Injuries. In his free time, he enjoys working out, watching moves, and traveling. He is also an avid Philadelphia Eagles fan. "My 3 year old son was having double ear infections for over 3 months. After 2 courses of antibiotics from his pediatrician, I took him to see Dr. McDermott. After two neck adjustments, we got his ears checked and he was infection free. No antibiotics used! It has been over 6 months with no ear infections!!" ""I was diagnosed with Complex Regional Pain Syndrome several years ago which caused excruciating migraines several times a week and landed me in the hospital more times than I can count. Every doctor I saw just wanted to pump me full of narcotics so I decided to give chiropractic care a chance. Dr. McDermott took the time to research my condition and really listened to me. After only three months of neck adjustments, my migraines miraculously stopped. I have been migraine free now for several years! I owe everything to Dr. McDermott and the staff at First State Physicians for listening to me and treating me with compassion I tell everyone that Dr. McDermott saved my life!""